After breakfast; fly from Addis to Bahir Dar and drive to the small town of Tiss Abay (32km rough road) to visit the impressive Blue Nile River Waterfalls. Then trek around to see a 17th C Portuguese Bridge and the country side. 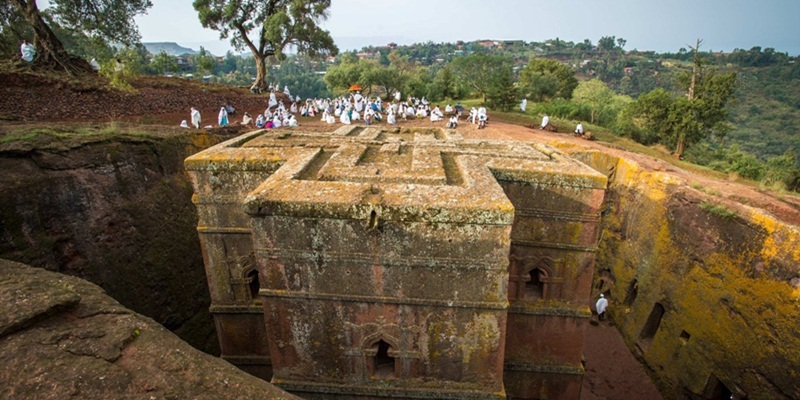 After the fall, return to Bahir Dar & make city tour of Bahir Dar which includes: market where you can find the pottery, traditional hand-made woven clothes, and Woito Basket market. Lake Tana is the largest lake in Ethiopia. Years before; the islands on the lake were the home lands of Felasha/ Jewish people. Some monasteries are cherished with treasures such as murals on the walls of monasteries, crowns and royal ropes. There are some Monasteries not allowed for women. 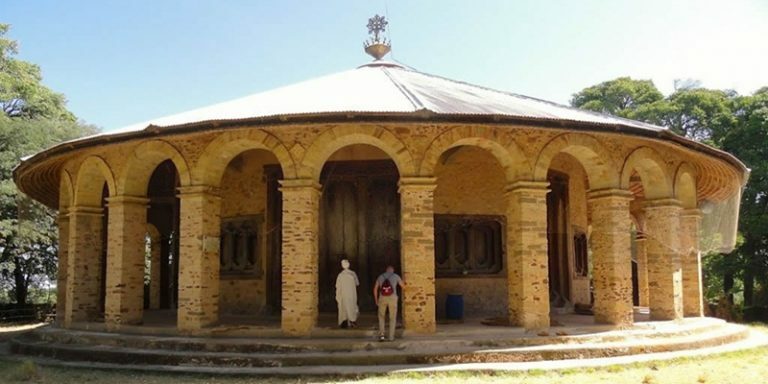 After breakfast you can visit the 17th C church of Debre Birhan Silassie (Light of Trinity) unique in its wall painting (murals), the Castles of emperor Fassiladas(Fasil enclosure) and his swimming pool, and palace of Empress Mentewab( Kusquam complex).after lunch visit the local market . At night you will have a time to keep amused with cultural and traditional melody (music) of the region.the night clubs (Azmari bet) are famous here. Azmari singers with their one stringed instrument are incredibly clever at creating lyrics. Once they know your name you will be treated to an Amharic praise song about your generosity, intelligence and other compliments they can think of you. Harar with its 99 mosques and shrines, is considered as the forth most holy center next to Mecca, Medina and Jerusalem of the Islamic world. The town of Harar is surrounded by a great defensive wall made of strong stones and mud. 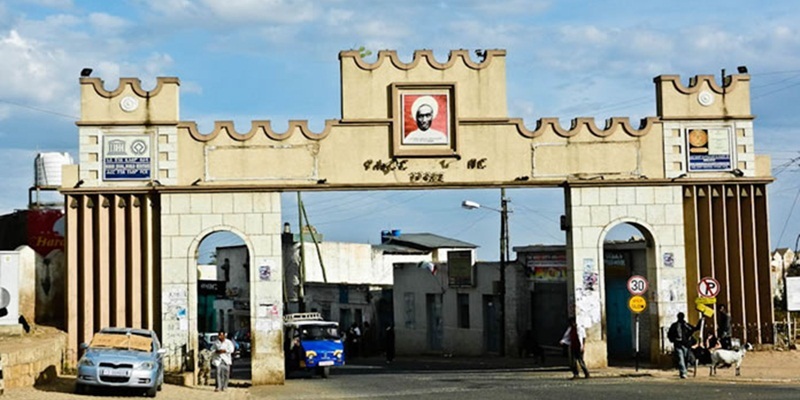 Harar has five large gates. Part of the city, which is encircled by the wall, is known as ‘Jegol’. 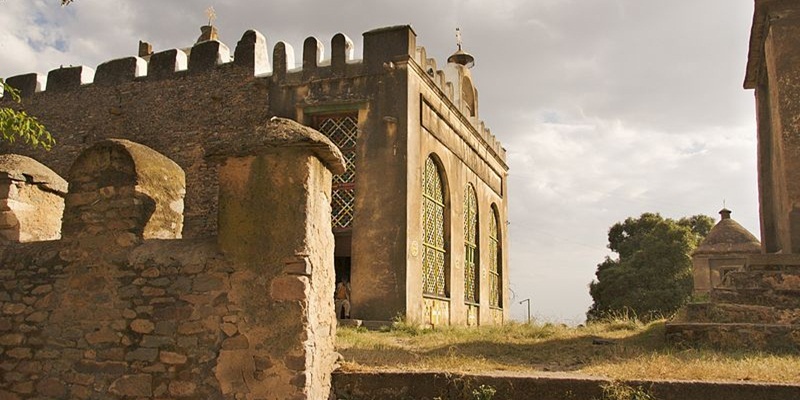 After breakfast; visit the five gates, the “Rimbaud House” which is named after the famous French poet who chose Harar as his city of exile from French, marketing places, the house of Ras Mekonnen, and the Harari houses with unique architectural features then drive to Dire Dawa. Visit the Taiwan Market and fly back to Addis. 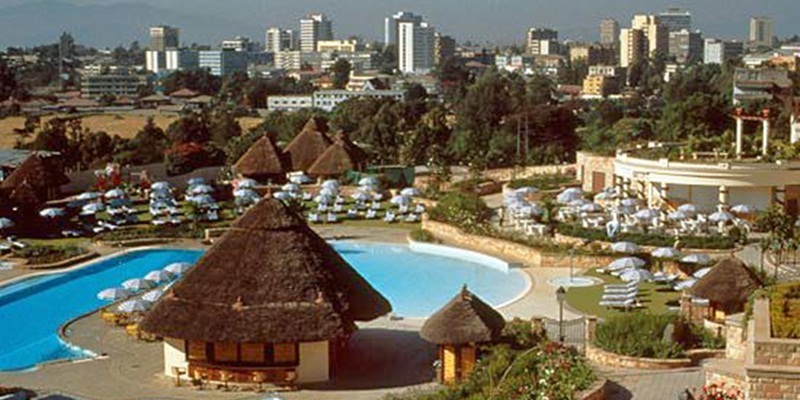 Overnight at chosen hotel Addis Ababa. 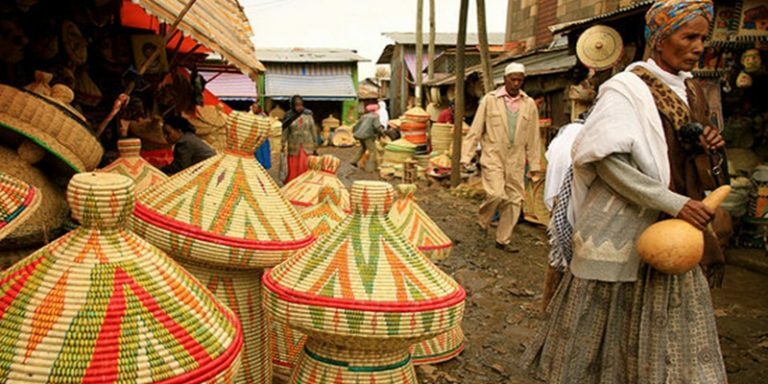 After breakfast go for Ethnological Museum that exhibits the culture and handicrafts of various Ethiopian ethnic groups, and finally Merkato – the largest open market in Africa. Afternoon you will have free time. 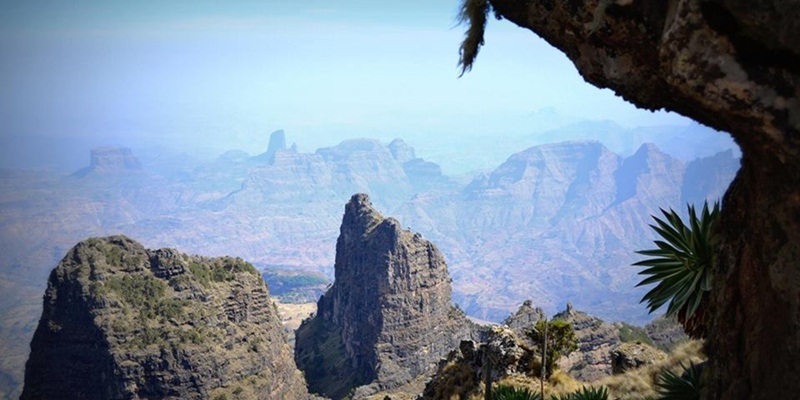 In the evening stone age tour and travel will invite you a farewell dinner party in one of the traditional Ethiopian restaurant with traditional music and dance from different ethnic groups, then you will be transferred to bole international airport to fly back home.